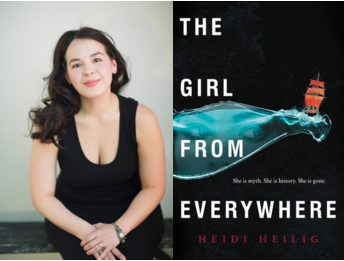 Brittany: I'm extremely amazed at Heidi's imagination come to life in her book The Girl From Everywhere. It's a really magical book that reminds me so much of Studio Ghibli. I'm really excited to find out what is Nixie's next adventure! Brittany: You guys should know by know how much I looooooove this book. Since reading it, I haven't let it be far from me so I can fall back into all of my favorite moments. It's such a beautiful story that's well-written and witty. Brittany: I was completely blown away by The Wrath & The Dawn and I'm dying to get my hands on the sequel. The world-building, the characters, with a unique spin on a fairy tale? What more could you ask for? Brittany: I was just a giant ball of feels after reading An Ember in The Ashes. I read it in one sitting, and around 2AM when I finished I just sat clutching the book to my chest and rocking back and forth. This was back before we had a sequel confirmed! I would have just died if we were left with that ending. BUT all is right in the world because we get a sequel in 2016! Brittany: Red Queen flew off the pages into a symphony of feels that I was not prepared to handle. It was one of the few books that I could imagine without putting a lot of effort, the writing just paints everything perfectly in your mind. 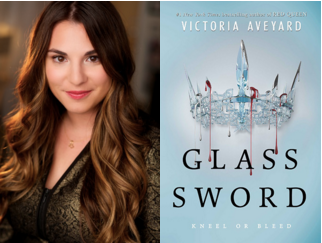 I don't expect any less from Glass Sword and pretty much anything else Aveyard might write in the future. Brittany: Woven was a very unexpected fun read. All I knew before reading it was how a close-minded publisher dropped this amazing book. Honestly, it was their loss and Scholastic's gain. That being said, these two can count on me to be reading all of their future work. 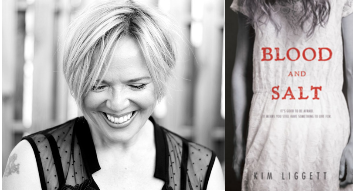 Brittany: Kim Leggitt has made me wonder if I should give the horror genre (at least in YA) another go. Anyone who can do that to a wimp like me, is pretty amazing. Brittany: Kathy MacMillan really knows how to build a culture and a world, and I really loved the setting in Sword and Verse. I'm very curious about what other worlds MacMillan has in store for all of us! Nikki: Everything, Everything has completely changed my mind about contemporaries! 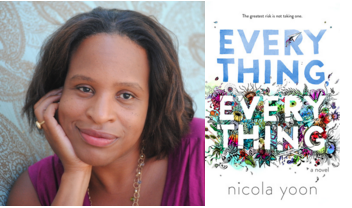 Nicola Yoon is a great writer, and I would love to read anything else written by her. Her prose, dialogue, style—I need more! Nikki: It's really hard to find a good fairy tale retelling, but I love this one! It managed to be original, despite being a retelling, and had everything I was looking for. 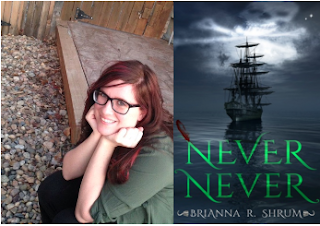 Another book by Brianna Shrum? Yes, please! What Sophomore Novels are you looking forward to? I haven't read many of these but I did really enjoy EVERYTHING EVERYTHING and sooo look forward to Nicola's second book. I love her writing and characters. I hope she writes a new one soon! She's a great author! I also hope she writes another book, her characters are amazing! This is an awesome list. I haven't read any of the books you mention, but so many of them sound good. 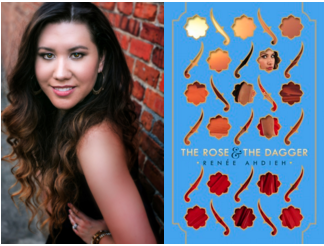 Renee Ahdieh is an author I have been wanting to try. Everything Everything sounds good. All of the books you mention. I'll have to look for Woven. I hadn't heard of that one, but you've got me curious. 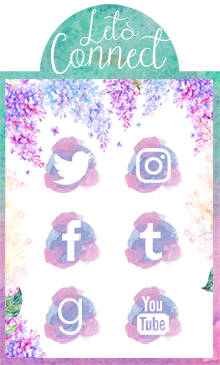 Nikki loves Everything, Everything and she's really picky about contemporary romance so I would definitely recommend it. 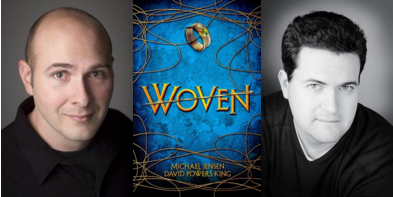 Woven is really fun read so I hope you find it! Oh and The Wrath and The Dawn is just an amazing ride from page one. I really can't wait to read Nicola Yoon's sophomore novel. :-) Great choices! I am really excited for another book written by her, she's a great author! I have had Red Queen and An Ember in Ashes on my TBR since before they were released and I really need to read them!! All three books are amazing, you definitely need to read them. Never Never!! I keep forgetting to read that!! I almost started it a month ago, but UGHHH so many books came out in September, it was hard to choose!!! I haven't read any of the books on this list except for Red Queen, and I'm really excited for the sequel! Most of the books on your list are on my TBR and I can't wait to read them! Definitely check them out, they are awesome! Check out my TTT and the weekly meme I hosting on my blog Music Monday. I'm so excited for Tahir's sequel!!!! Great list. You have a few books on here that I have read and enjoyed myself. I think I am also going to have to add a few of these to my Christmas wishlist, it looks like I have missed out on some great debuts recently. I am especially excited to read An Ember in the Ashes, I have heard so many good things about that one. Here's my TTT. An Ember in the Ashes is really great, believe all of the hype! I am adding Everything Everything to my list right now! heidi is super lovely and the fact that she got number on your ttt says a lot! i cannot wait to read her novel when it comes out. 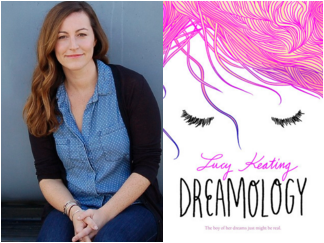 ah, dreamology! i cant wait to read this one since you speak so highly of it <333 im just praying to the arc gods rly bad right now that i get blessed with a copy of it heheh. i cannot wait for renee and sabaa's sequel to their books too. both elias and khalid are baes. Elias and Khalid are definitely baes. Dreamology and The Girl From Everywhere are both awesome and I hope you get them and love them! 2016 is going to be a great year of books! No problem =) Thanks for stopping by! I think The Rose and the Dagger is number one is on my list! 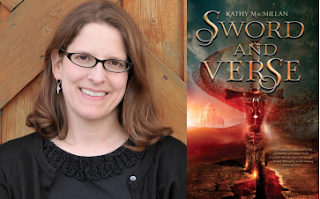 And I cannot WAIT for the Sword and Verse sequel!! HEIDI'S BOOK LOOKS SO AWESOME AND I AM SO EXCITED TO READ IT! I was considering entering your giveaway but...there are already over 1000 entries and...yeah... I have heard nothing but amazing things about Wrath, so I'm excited to hopefully read it soon! 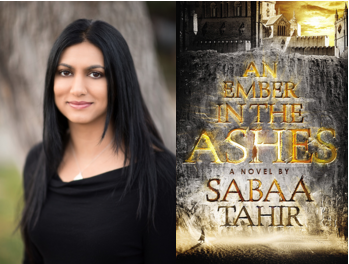 I ADORED Ember, so I'm happy to see Sabaa appear on this list. Same thing goes for Victoria. :) Great list! There are definitely some good ones on this list!! I hadn't heard of Woven before though and it looks super good. Great list!